The medical establishment has launched a concerted drive to reassure the public that the controversial MMR vaccine is safe. A £3m publicity campaign to promote the vaccine will include TV advertising, videos and leaflets for health professionals and parents as well as information and training for doctors and nurses who require it. Professor Liam Donaldson, the Chief Medical Officer for England, held a top level summit with leading doctors and nurses on Monday to discuss continuing public anxiety over the vaccine. Claims that the vaccine, which protects against measles, mumps and rubella, is linked to autism and the bowel disorder Crohn's disease have led to a fall in vaccination rates, sparking fears of an epidemic of the diseases. Measles causes brain damage and can be fatal, while mumps is linked to meningitis. Women who contract rubella in pregnancy run a risk of giving birth to deformed children. 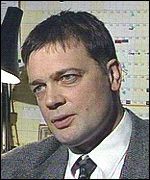 Dr Andrew Wakefield, of the Royal Free Hospital, made the original claims of a possible link with autism. In a new paper published at the weekend, he claimed that the vaccine had not been properly tested before its introduction. Professor Donaldson said doctors had a re-examined the safety of the MMR vaccine in the light of growing public concern, and found it to be safe. He said: "We have had discussions today with all of the major health organisations in this country about the MMR vaccination programme. "Every single one of them agrees that the MMR vaccine is the safest and best way to protect children against measles, mumps and rubella." 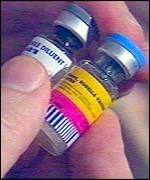 Dr Elizabeth Miller, of the Public Health Laboratory Service, said the MMR vaccination programme had eradicated deaths in the UK from measles for the last decade. She said: "The issues and allegations about MMR vaccine safety have been looked at extremely carefully by a number of independent research groups. "The conclusion time and time again is that the vaccine is safe. There are no grounds for suspecting that MMR vaccine causes autism." Professor Stephen Evans, of the Medicines Control Agency, said Dr Wakefield's paper was flawed and made a number of errors of fact. He said their trials had showed the MMR vaccine is as safe as the single measles vaccine. The Royal Colleges representing paediatricians, GPs and nurses issued a joint statement together with the Community Practitioners & Health Visitors Association and the Faculty of Public Health Medicine stressing their confidence in the safety of the vaccine. 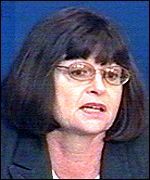 It read: "Our professional confidence in the MMR vaccine, its safety and effectiveness remains fully justified. "Contrary to what is suggested there is a large body of evidence showing that the combined vaccine is highly effective and serious side effects are uncommon." Dr Wakefield, a consultant gastroenterologist, criticised trials of the vaccine in an article in the medical journal Adverse Drug Reactions and Toxicology Review. He said the trials were too small and did not follow children up for long enough to gauge potential problems. Dr Wakefield's article said there was evidence more than 20 years ago that combining three live viruses in one jab could be dangerous. He suspects that the MMR vaccine damages the bowel, releasing toxins that travel to the brain and lead to autism. Dr Wakefield was supported by Paul Shattock, from the Autism Research Unit at the University of Sunderland, who is carrying out a study of 5,000 autistic children, both in the UK and the rest of the world. He said it was important for children to be vaccinated - but suggested single dose vaccines may be safer. He said: "When parents first started coming to me saying we think there might be a problem I frankly did not believe them. "But then you hear the same problem over and over again, and you think they have got a point." Mr Shattock said government investigations into the safety of MMR had failed to focus on the impact of individual patients. "Nobody has said do not vaccinate against measles or mumps. All we are saying is lets do it in the safest possible way." Isabella Thomas, of vaccine safety campaign JABS, who blames the autism suffered by her two sons on MMR inoculations, said: "They need to speak to the parents of the children who are vaccine-damaged. "These children are definitely vaccine-damaged and they are suffering. "Nobody has come to us asking us about it. We need proper evidence for the safety of the MMR. I am not convinced at all."